Finance Ideas 4u: Credit reports versus credit scores: What’s the difference? 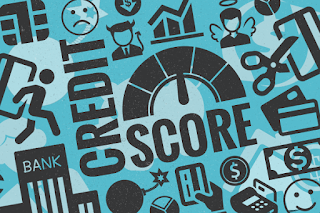 Credit reports versus credit scores: What’s the difference? Remember the day in school, when teachers declared the results. The class teacher would come with a file containing our performance in the recent exam. In that file would, there would be that one piece paper that depicted our performance in the last exam. Each subject would be graded by a specific teacher and in the end, we would have a grade or a score. You must be wondering why are we reminiscing about our school days and those dreaded report cards? Well, back in the day we knew the difference between a report card and the marks scored in a subject as well as the total. However, in the world of loans, many borrowers become confused about credit report and credit score. Before you feel aghast about this, you should know that not knowing the difference between the two can hamper your chances of availing a business loan. Now, don't worry we will tell you the difference between a credit report and a credit score. So, that all-important loan for a business is never too far for you. Read on. A credit report is a report, simple. Each credit report lists loan/credit-related information for a particular individual. In India, there are 4 major credit bureaus– TransUnion CIBIL, Equifax, Experian and CRIF Highmark. If you are a credit taker, then it is quite likely that there will be a separate report produced by each of those companies. Think of a credit report as a detailed report of an individual's, in this case, your credit history. What is inside a credit report? Like your report card in school/college, your credit report will contain all the relevant information pertaining to credit history. Listed items fall into the following categories: personal information (name and address, PAN card details, known business address, and phone number), open and closed credit accounts, credit inquiries, and others. In most Indian credit reports, there is a credit account summary, a current credit balance amount summary and a credit enquiry summary that lists all the enquiries that have been for new credit such as business loans. The information contained may pertain to credit card payments, and various loans such as automotive loans, business loans, home loans, and student loans. A credit report also contains the status of those loans such as doubtful, settled, closed, days past due, etc. A credit report uses records reported by financial institutions to show how you as a borrower has kept up with payment agreements with various current and previous creditors. All this information helps creditors, like Tata Capital, form a credit picture of you. Simply put, they tell a story of the way you use your money especially credit/loans. So, the credit report gives lenders a total view of your credit journey. As you can understand that a credit report is a compilation of your credit information. If there are 100 million borrowers, everybody will have tons of information. This is where a credit score comes in. A credit score is usually a 3-digit number that falls on a scale from bad to good. Usually, the maximum score is 900, while the minimum score that somebody can score is 300. Any credit score above 750 is usually taken as a good by all lenders. How a credit score is calculated? The exact formula for calculating credit score is proprietary knowledge. However, it is enough to know that a credit score is calculated based on information listed in a particular credit report or reports. There is a possibility that one individual may have a different credit score. This is because the credit scoring formula is slightly different for different companies. However, your credit score will not greatly vary. For example, while applying for a loan for business, you may find that your Equifax credit score is 800, and 730 in Experian. But there is little chance that your credit score in one credit bureau will be 800 and becoming 500 in another credit bureau. It is very unlikely that a good borrower in the eyes of one bureau will become a bad borrower in another bureau's assessment. While you may have several different credit scores, at the core of the idea is something simple: to provide a quick snapshot on how good or bad you are as a credit taker. A credit score has become so important because it helps financial lenders use the three-digit score to decide personal or business loan approvals, interest rates offered and other credit-related decisions. If they need greater detail, they can go through the credit report. Do remember that a credit score as a number and a credit report as information are historical in nature. They only show what you have done in the past. Focus on having good credit habits i.e. not over-borrowing, paying your bills on time, and keeping your word when it comes to credit agreements. These habits will help you in getting the best interest rates and deals for business loans when you someday need funds to set up or scale up your dream enterprise.